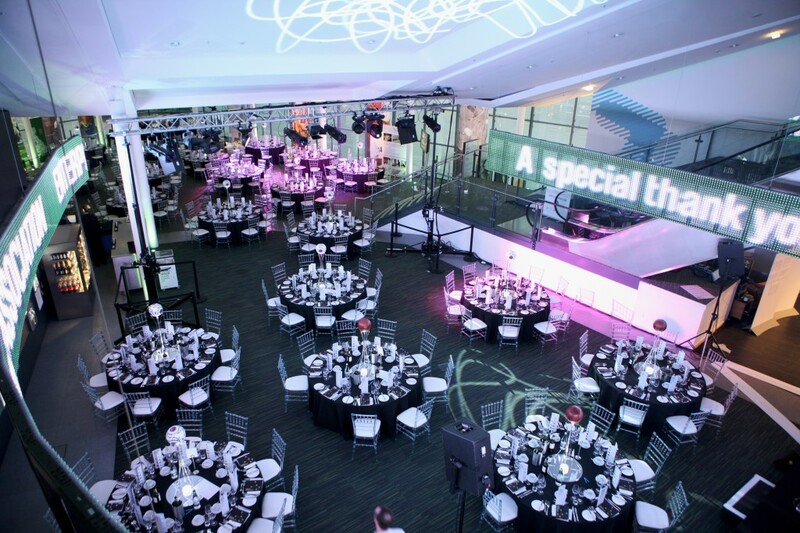 Our stunning architecture, state-of-the-art galleries and great flexible spaces make the National Football Museum the perfect venue for your event. You don’t have to be a football fanatic to appreciate the great space the Hall of Fame has to offer. Forming part of the museum by day and transforming into a unique event space by night, this fantastic space can cater for up to 220 for a dinner dance or up to 400 for a drinks reception or networking event. With access to the galleries and additional features such as our interactive games, this space ticks all the boxes for a fun and unique venue for any event. National Football Museum Hall Of Fame, set up for dinner event.